8mm British Standard Toughened Safety Glass. 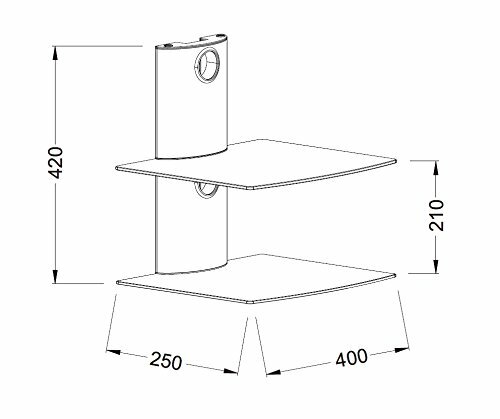 Supports a maximum of 10KG on each shelf. The Allcam Universal DVD Player/Amplifier/Speaker Wall Mount is a beautiful looking wall mount shelves for DVD players, Amplifiers, and HiFi Speakers. This elegant designed wall mount is the best companion for wall-mounted large flat screen TVs to give the appealing modern appearance. Forget all those messy cables and ugly shelves, treat your home with the Allcam wall mountes shelves. The included Cable Management System will hide all the messy cables behind the tube while the enlarged hole/opening , based on your feedback, will enable scart cables to go through the tubes. The main column is made out of solid alumium alloy sheets with a powder coated finish, the total hight is 420mm (16.54"). The two shelves are made from 8mm thick Tempered Glass and dimension are: 450mm x 250mm (Wide xDepth). 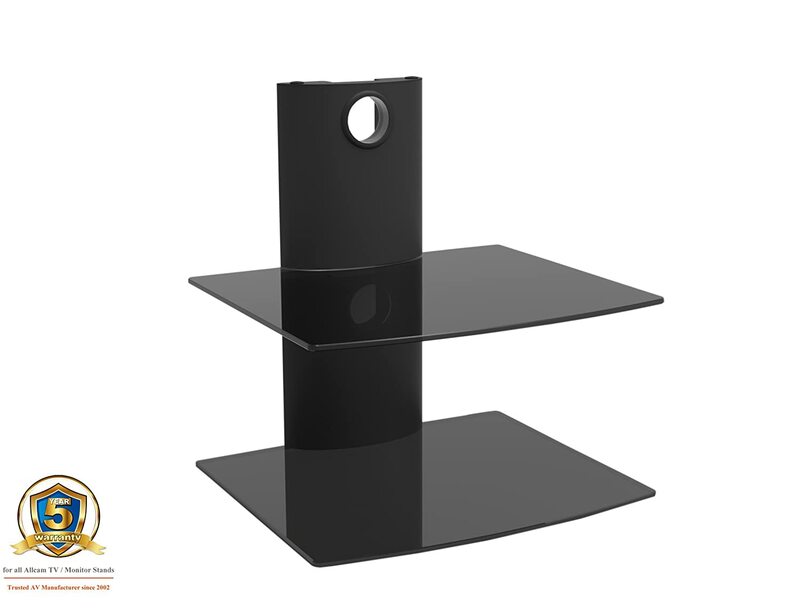 About the Manufacturer: Allcam has 10 years experience in designing TV/monitor stands, we are so confident with the quality of our product and we provide 5 years warranty on all our monitor stands. We are based in UK and the warranty is always provided from here.